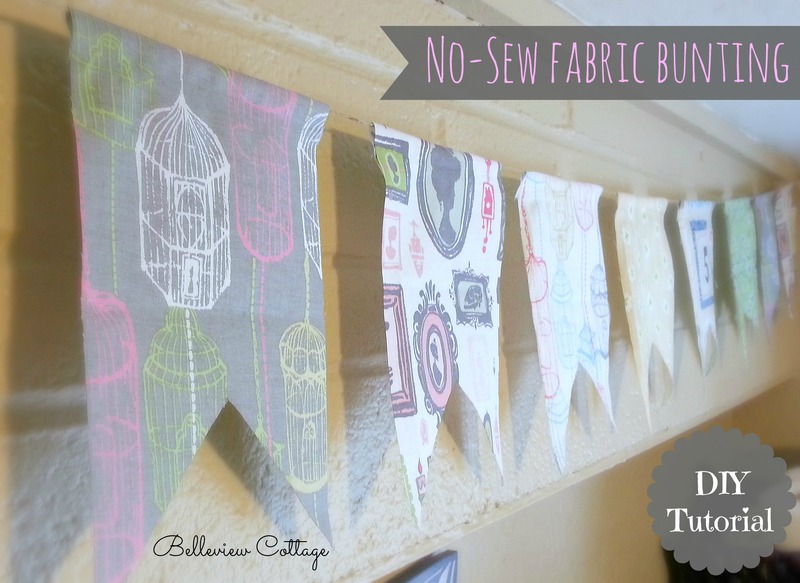 Remember to pin this page to Pinterest if you like the tutorial, so you can access it later when you’re ready to make your own fabric bunting. The supplies I used are pictured above. (Not pictured: iron and ironing board.) You can score some great deals on fabric scraps at your local fabric or crafting store. I bought these patterns in a pack I found at Tuesday Morning (fat quarters). Step one is to create your pattern. I found this one here. Print out your pattern on cardstock. Any color will do. You will see below that I modified my template by ADDING a 3/4″ strip to the top of this pattern, using a ruler. That is because we will be folding the top of the bunting back around the twine. I like making bunting this way because the individual panels can slide along the twine until you find the spacing that looks right. See the 3/4″ strip I added to the template? 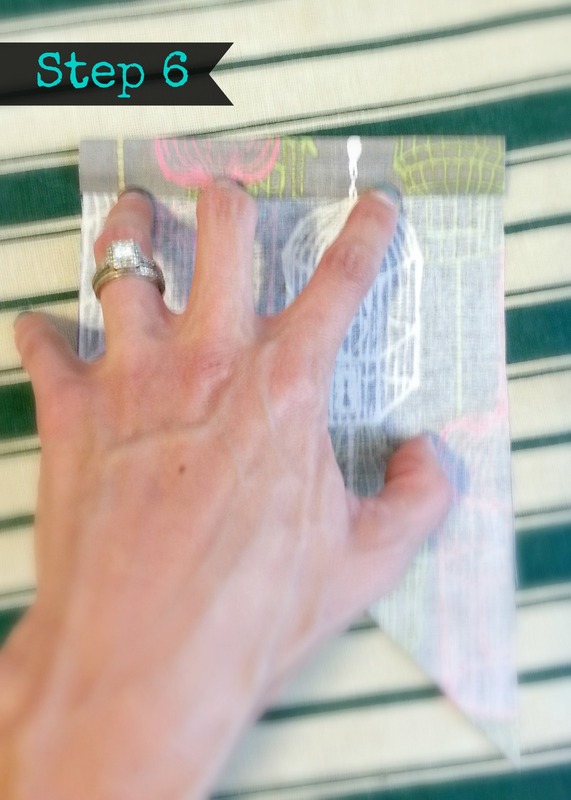 Step 2 is to lay your fabric face-down, and then trace your pattern onto the back of the fabric. Ball-point pen is easy to see, but won’t leak through to the front-side of your fabric. Next, mark your fabric to show where the 3/4″ strip of fabric at the top should begin. 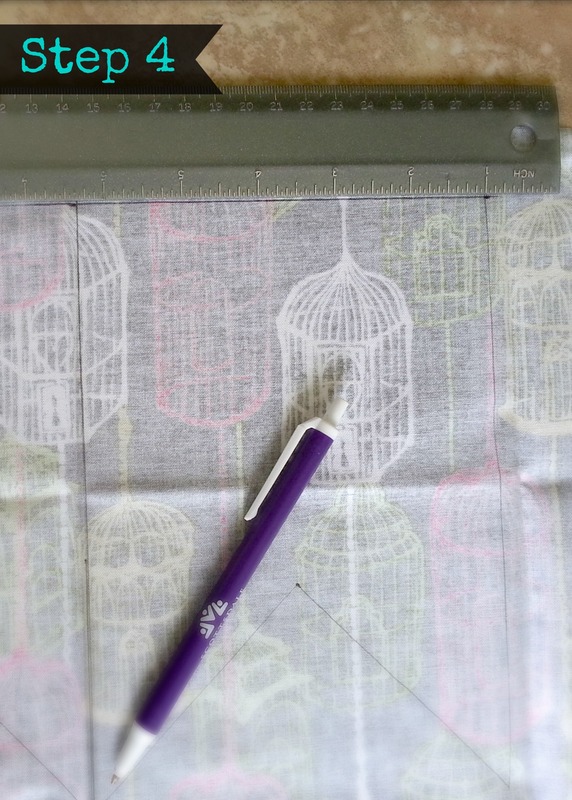 Mark your fabric on both sides of the template. Step 4 is optional. 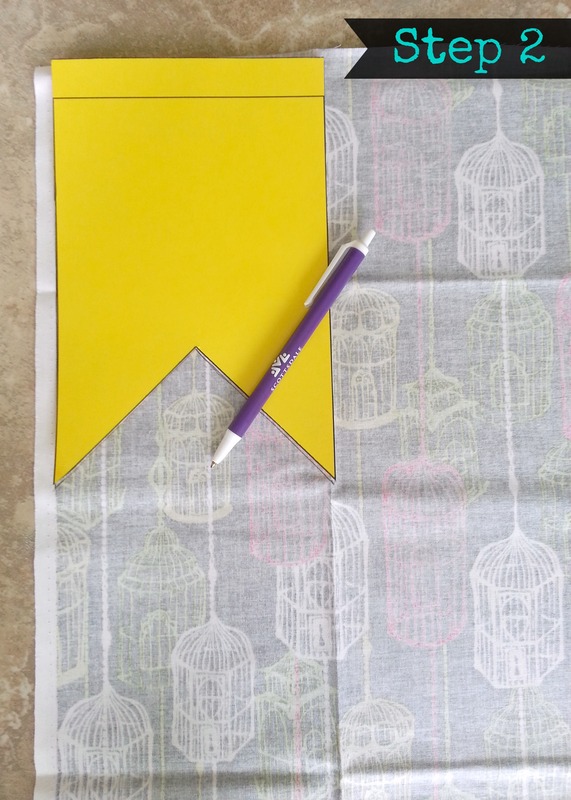 You can use a ruler to draw a line across the top of your traced bunting, to delineate the 3/4″ strip. Use your marked notches to draw the line. 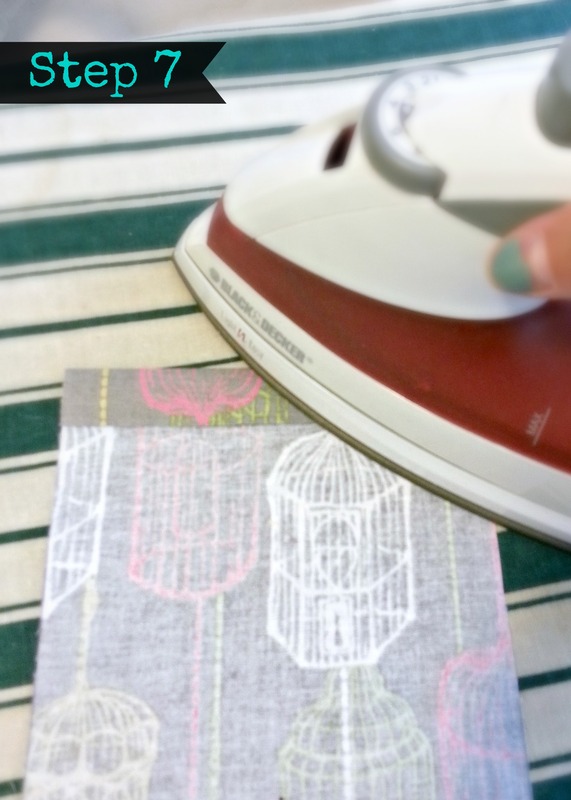 You can skip this step and just use the notches as visuals for where you will be folding your fabric. 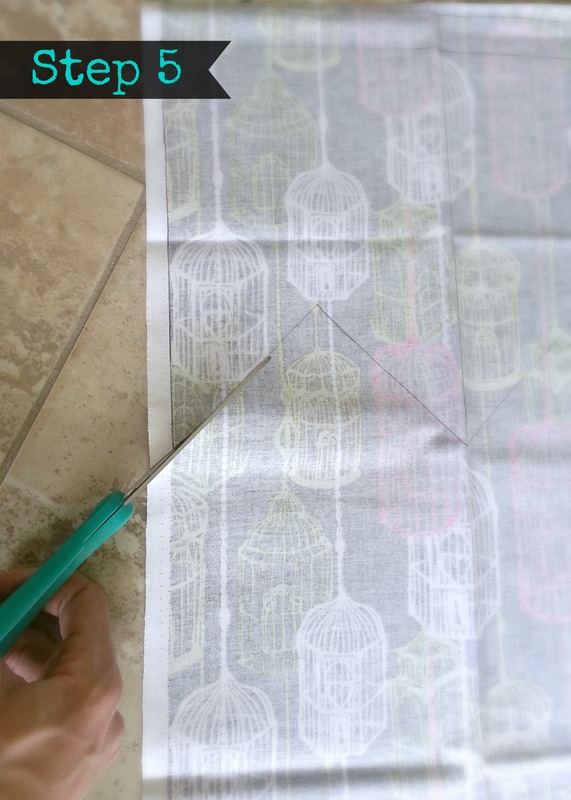 Step 5 is simple: cut out your pattern. Be sure to include the 3/4″ strip! 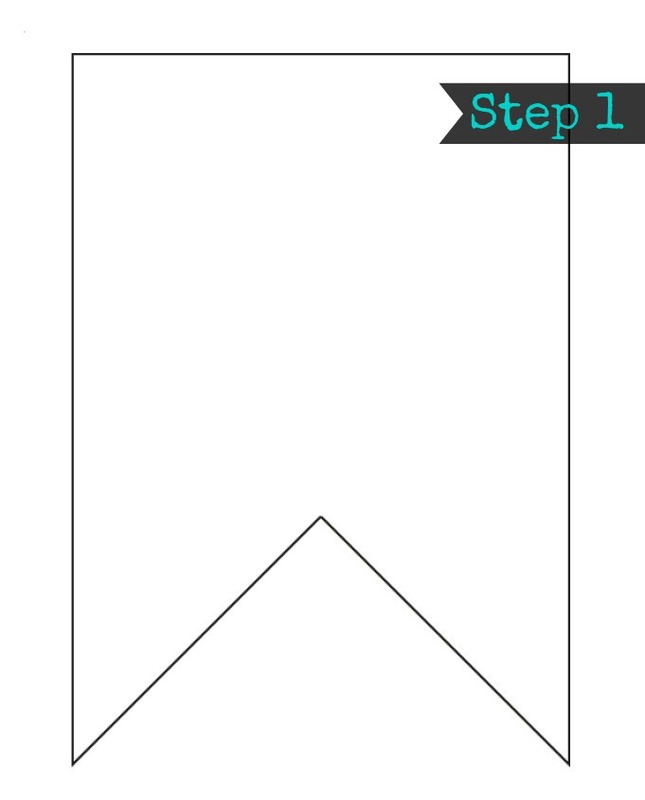 Now repeat these steps to achieve your desired number of bunting panels. For my project, I used 12 panels. Now, head over to your ironing board. Turn the bunting panel face-down. 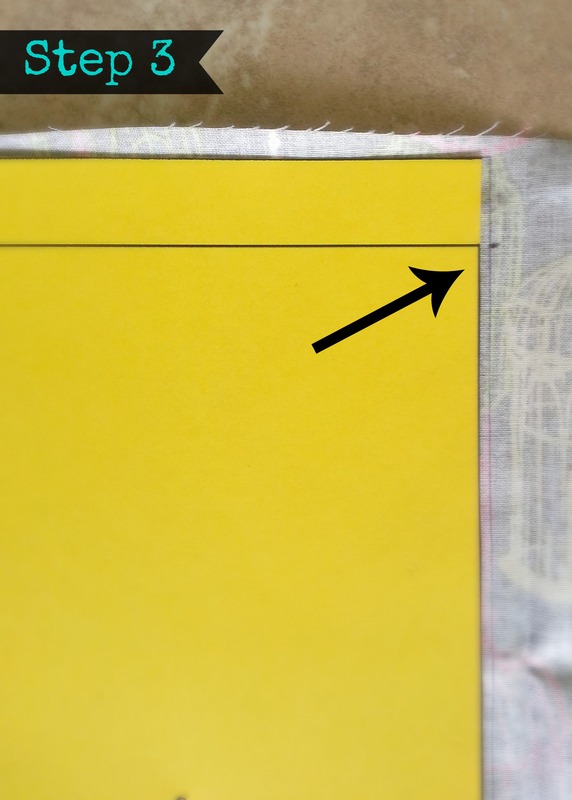 Use your drawn marks and/or line to fold down the 3/4″ strip at the top. Now, iron the flap so that it stays down on its own. Then iron the entire panel, to get out any wrinkles (which you will definitely have if you purchased folded quarters or scraps like I did). Repeat steps 6 & 7 for all of your panels. Note: Please disregard my ugly ironing board cover and chipped nail polish. What can I say, this is real life! Next, grab your twine. I don’t like to pre-measure and cut the twine, because it stretches out once the fabric panels are hanging on it. I leave the twine on the roll, and un-roll it as I need more length. 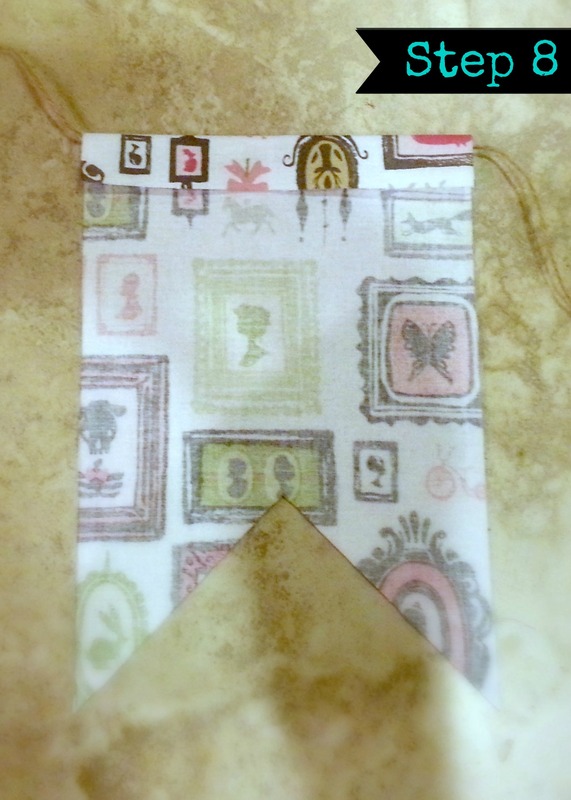 Step 8 is to take your twine and place it in the fold of your bunting panel. If you want your panels to be in a specific order (first to last), note that we are assembling the banner upside-down, so the first panel you glue onto the twine will ACTUALLY be the last panel once you turn the entire banner around. Work in reverse order to achieve a specific order of panels. This is the last step! I recommend placing a newspaper under your work area now that we are using the glue. Add a thin strip of glue along the top of your 3/4″ strip. Don’t place it too close to the edge, because the glue will spread out. And you don’t need much glue! 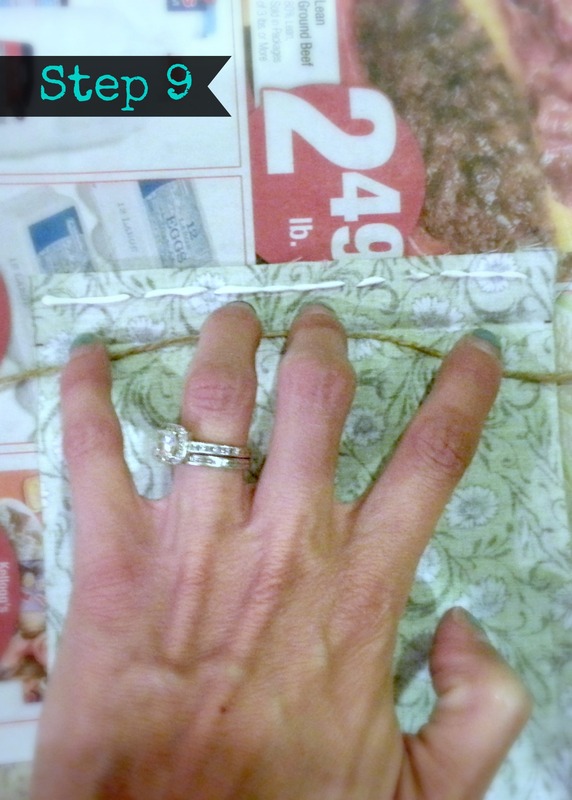 Then fold the flap down, leaving the twine inside the fold. And, there you have it! Your bunting panel is now on the twine and you will be able to slide it back and forth to achieve your desired look. Now repeat these steps until all of your panels are on the twine. Trim any loose fabric strings that may be on the edges of your fabric. And you’re done! Now you can hang your beautiful fabric bunting and trim the twine to perfectly fit your space. Slide the panels around until you achieve your desired spacing. I hope you enjoyed this tutorial! Send me pics of your finished product, and message me if you have any questions. Previous Post “Little Man” First Birthday Party!